CLMC believes that top quality lawyers, participating in a transaction from inception, can often render litigation unnecessary, by memorializing the understanding of the parties in an agreement which leaves little room or need for resolution of issues through litigation. However, if litigation is unavoidable, CLMC lawyers provide zealous representation, and bring superior skill to both the procedural and strategic aspects of the litigation process. 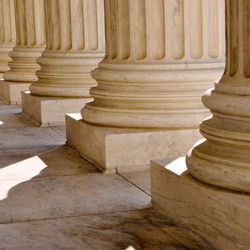 CLMC litigation attorneys have successfully represented clients in all phases of litigation's, including trials and appeals in Federal and State courts. The group also represents clients in proceedings before the American Arbitration Association, and other alternative dispute resolution bodies. 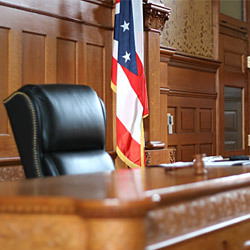 Cases and matters cover the spectrum of corporate, commercial, contract, employment and related disputes. CLMC litigation attorneys service all clients of the firm needing advocacy in civil and administrative matters. In addition, the Litigation Group receives referrals from in-state and out-of-state law firms. When a proceeding is to be conducted outside New York by local counsel, our litigation attorneys work closely with and supervise local counsel to help assure that the firm's client is effectively represented.